Is a true-story about a one-time Maori speed-chess champ, Genesis Potini, lives with a bi-polar disorder and must overcome prejudice and violence in the battle to save his struggling chess club, his family and ultimately, himself. I had the great pleasure of interviewing Dana Lund via Skype, while she is currently residing in New Zealand. 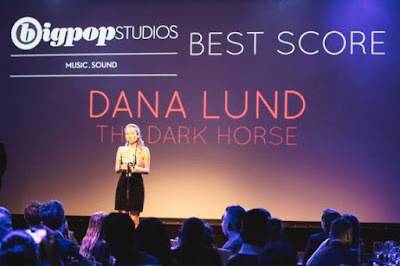 Dana is a young, amazingly talented woman, who's music in "The Dark Horse" completed the movie. Dana Lund was born in Toronto, Canada where she first started piano lessons at the Royal Conservatory of Music. She later furthered her studies in Los Angeles, California, with a focus on composition and piano performance. Dana currently resides in Auckland, New Zealand where she composes and teaches music and piano. The Dark Horse (Original Motion Picture Soundtrack) is available on iTunes. 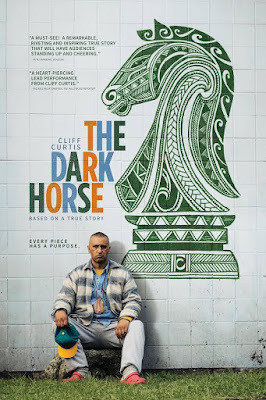 Watch the new movie trailer for The Dark Horse, starring Cliff Curtis! The Dark Horse is coming to theaters, April 1, 2016.